The fertilisation of wheat crops with Se is a cost-effective method of enhancing the concentration of organic Se in grain, in order to increase the Se intake of animals and humans. It is important to avoid phytotoxicity due to over-application of Se. Studies of phytotoxicity of Se in wheat grown in Australia, where rainfall and grain yield are usually relatively low, have not been reported previously, and overseas studies have had varied results. This study used trials conducted in the field, glasshouse and laboratory to assess Se phytotoxicity in wheat. In field trials that used rates of up to 120 g ha−1Se as selenate, and in pilot trials that used up to 500 g ha−1 Se soil-applied or up to 330 g ha−1 Se foliar-applied, with soils of low S concentrations (2–5 mg kg−1), no Se toxicity symptoms were observed. In pot trials of four weeks’ duration, the critical tissue level for Se toxicity was around 325 mg kg−1 DW, a level attained by addition to the growth medium of 2.6 mg kg−1 Se as selenate. Solution concentrations above 10 mg L−1 Se inhibited early root growth of wheat in laboratory studies, with greater inhibition by selenite than selenate. For selenite, Se concentrations around 70 mg L−1 were required to inhibit germination, while for selenate germination % was unaffected by a solution concentration of 150 mg L−1 Se. Leaf S concentration and content of wheat increased three-fold with the addition of 1 mg kg−1 Se as selenate to the growth medium. This effect is probably due to the induction of the S deficiency response of the main sulphate transporter. This study found wheat to be more Se-tolerant than did earlier studies of tobacco, soybeans and rice. 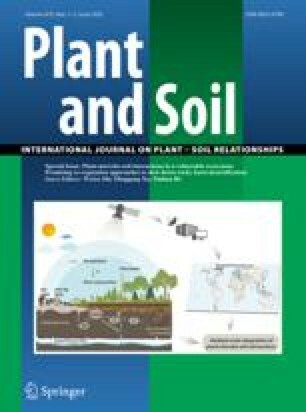 We conclude that Se phytotoxicity in wheat will not be observed at the range of Se application rates that would be used to increase grain Se for human consumption (4–200 g ha−1 Se as selenate, which would result in soil and tissue levels well below those seen in the above studies), even when – as is common in Australia – soil S concentration and grain yield are low.